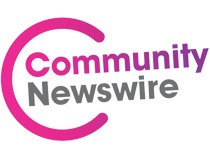 Community Newswire, the Press Association backed service that gives charities access to the same press release distribution as commercial clients for free, is suspending its service. I’ve used CN a couple of times as part of my LearnAsOne work, and although I had no idea it was part funded by government money. It’s really sad though – getting a press release out to the national papers and local news organisations is really hard for non-profit groups without the help of CN.